Good Neighbors Media will release the ADVANTAGEOUS – Original Motion Picture Soundtrack digitally via iTunes on July 24th with a CD to be released later in August. 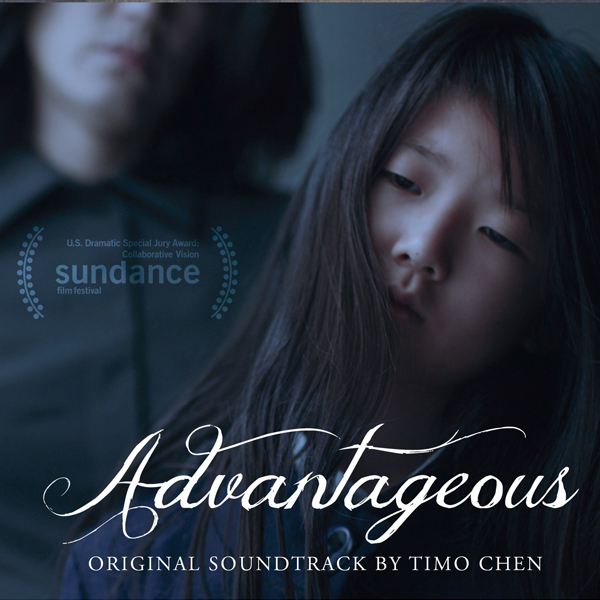 The album, which is currently available at the film’s website (http://advantageous.me/) features the film’s original score by Timo Chen, who is an avid creator of instruments, including the “Jimbow” which was invented for the score. Set in the near future, Advantageous focuses on Gwen Koh, a single mother, whose aspirations for her daughter drive her to the precipice of a fraught decision. Including eerie and ingenious low-key special effects and a deliciously understated performance by Jacqueline Kim, this sci-fi film is rife with underlying tension and lyrical beauty perfectly matching the city’s atmosphere of quiet desperation. Gwen works as a spokesperson for the Center for Advanced Health and Living (an innocuous sounding organization that is, in fact, a corporate behemoth) and finds that she is in danger of losing her job. That would make it impossible for her to send her daughter Jules to private school, a termed “advantage” that in actuality is more a necessity to shield Jules from this future society's brutal economic disparities. The Center’s newest and untested health procedure offers Gwen a dangerous, life-altering chance to continue her career. To weigh her options, Gwen attempts to reconnect with an estranged relative (Ken Jeong), but as seems standard for all in this dystopian landscape, Gwen remains alienated and alone. 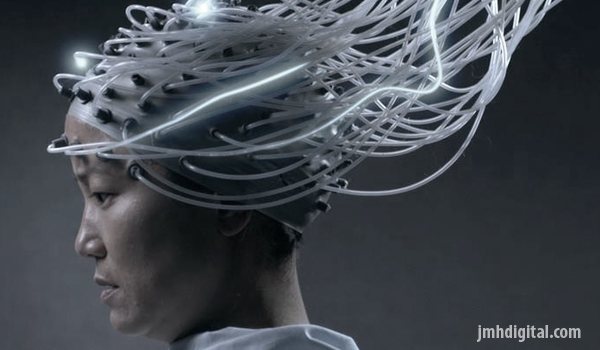 Through this allegorical structure, Advantageous intelligently investigates present-day society’s perspectives on femininity and motherhood and how they intersect with questions of beauty, surveillance and the economy. Timo Chen is an extraordinarily gifted pianist, virtuoso guitarist, versatile composer, arranger, songwriter, and music producer. His talents were nurtured at a young age at the USC Community School of Performing Arts (now the Colburn School) and on through his studies at the Oberlin Conservatory of Music as well as into his adult life around the world studying and performing a diverse array of music including Chinese Pop, American Jazz, Balinese Gamelan, and Peking Opera. After spending a number of years assisting composers and working in the realm of music technology and performance, Chen was selected to be a fellow for the 2014 Sundance Film Music and Sound labs at Skywalker Sound. His career in film and TV music has allowed him to work with composers and filmmakers such as Mateo Messina, Gingger Shankar, Nathan Wang, Jennifer Phang, and Justin Lin. His work can be heard on TV shows and films such as THE PEOPLE’S CHOICE AWARDS, SUNSET STORIES, FAIRLY LEGAL, DUCK DYNASTY, and INSEPARABLE. Chen’s most recent innovation is the “Jimbow,” a voltage-modified rotary tool (normally used for buffing and grinding surfaces) used to create unique lush or harsh textures on the harp, guitar, and piano, which he used on the score for ADVANTAGEOUS. His studio functions equally as a lab filled with devices such as hand-wired contact microphones, oscillators, prepared piano, and other unique instruments to serve his sonic pursuits and passions of creating music with a unique sound that provides solid narratives to picture. In addition to the Jimbow, he his score includes the use of vibrators on guitar strings, a toothbrush brushing piano strings, Tibetan mallets, and the hurdy gurdy. Good Neighbors Media presents ADVANTAGEOUS currently available on Netflix and iTunes. The ADVANTAGEOUS – Original Motion Picture Soundtrack is currently available at http://advantageous.me/ and will be available digitally via iTunes on July 24th with a CD to be released in August.